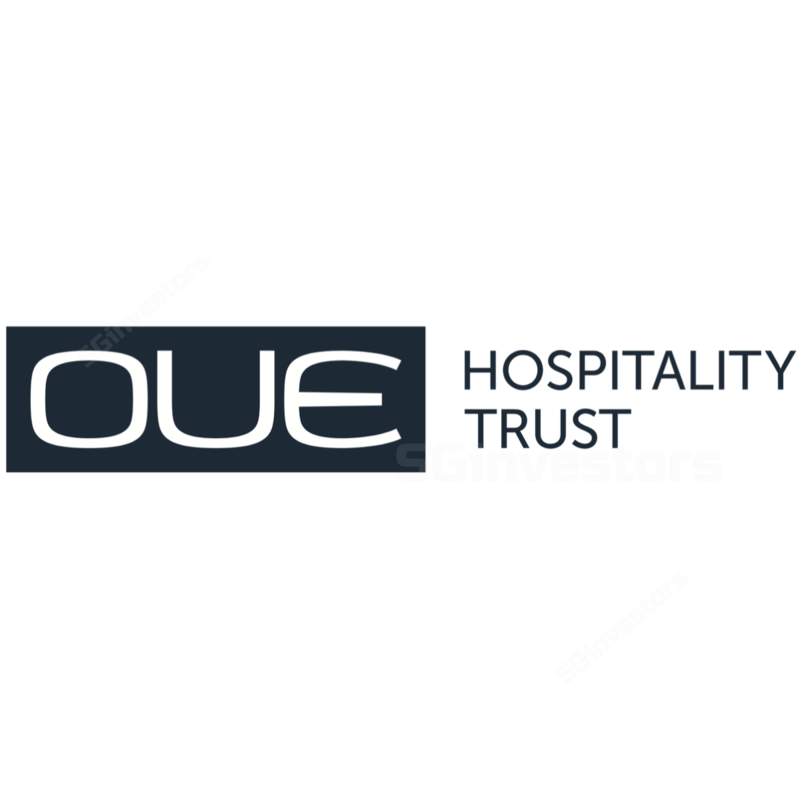 OUE Hospitality Trust (OUEHT)'s 9M17 DPU of 3.87 Scts (+19.1% yoy) was in line with consensus and our expectation, at 76% of our full-year forecast. 3Q17 DPU of 1.36 Scts (+10.6% yoy) was at 27%. The star was MOS, which demonstrated its quality by achieving its second consecutive quarter of improvement in RevPAR, this time to the tune of +8% yoy. Occupancy for Crowne Plaza Changi Airport (CPCA) improved to the low-80% rate in 3Q17, from mid-70% in 2Q17. We keep our forecasts but raise our Target Price (to S$0.84) as we roll-forward our DDM-valuation. Maintain Add as we believe that Mandarin Orchard Singapore (MOS) would offset the absence of income support. Downside risk could come from irrational competition or slower hotel recovery. 3Q17 DPU grew 10.6% yoy to 1.36 Scts, driven by higher hospitality (+6% yoy in NPI), retail (+4% yoy) and higher income support for the enlarged CPCA (Crowne Plaza Changi Airport). We note that the enlarged CPCA only had two months of contribution in 3Q16. The highlight of the quarter was Mandarin Orchard Singapore (MOS), which demonstrated its quality by achieving its second consecutive quarter of improvement in RevPAR, this time to the tune of 8% yoy (2Q17: +5% yoy). 3Q17 RevPAR improved 8% yoy to S$242, underpinned by higher ADR (average daily rates) and occupancy. 3Q17 occupancy was near the mid-90% rate (3Q16: high-80%, near to 90%) while ADR improved by c.3% yoy (2Q17: +1% yoy). Higher F&B income also contributed. Demand was broad-based and sprang from all segments (corporates, leisure and wholesale). 9M17 RevPAR improved 3% yoy to S$223, outpacing the market (+0.5% yoy) and luxury peer group (+0.3% yoy). Occupancy for CPCA improved to the 80%-range (low-80% in our estimation) in 3Q17 from the mid-70% in 2Q17. ADR was roughly the same qoq. Net-net, CPCA achieved a RevPAR of S$180 in 3Q17 (3Q16: S$147). Another positive was that CPCA saw more transient customers and less wholesale groups in the quarter. Last, we note that OUEHT has fully drawn down the full income support of S$7.5m, with a final claim of the remaining S$1.6m in the quarter. Mandarin Gallery achieved higher average occupancy of 96.4% in 3Q17 (3Q16: 89%). However, the mall recorded an effective rent of S$22.9 psf pm for the quarter (3Q16: S$24.6), due to negative rental reversion in the preceding quarters. Rental reversion for base rent was about -19% for 3Q17, for c.8.8% of the NLA. On capital management, gearing and average cost of debt was maintained at 38.1% and 2.8% respectively. We are projecting a slight 1% yoy dip in FY18F DPU. Notwithstanding supply pressures in 2H17-1H18 (counteracted by more events in 1H18, e.g. Airshow 2018), we think MOS has bottomed and would achieve c.5% RevPAR growth in FY18F. This, and higher occupancy at CPCA (projected 85%) would offset the loss of income support. The launch of Terminal 4 and opening of Jewel in early-19 could provide upside surprise for CPCA. For now, we project CPCA will achieve its target annual rent of S$29m-30m by FY20F.